UWR is a game like no other: it is the only truly 3D-team sport in the world where both the ball and the players can travel in any direction. It is a contact sport consisting of two teams of 12 (6 in the water at a time) and a negatively buoyant ball. The players wear a mask, snorkel and fins and the aim is to score goals by placing the ball in a steel basket at the bottom of a 3.5-5m deep pool. 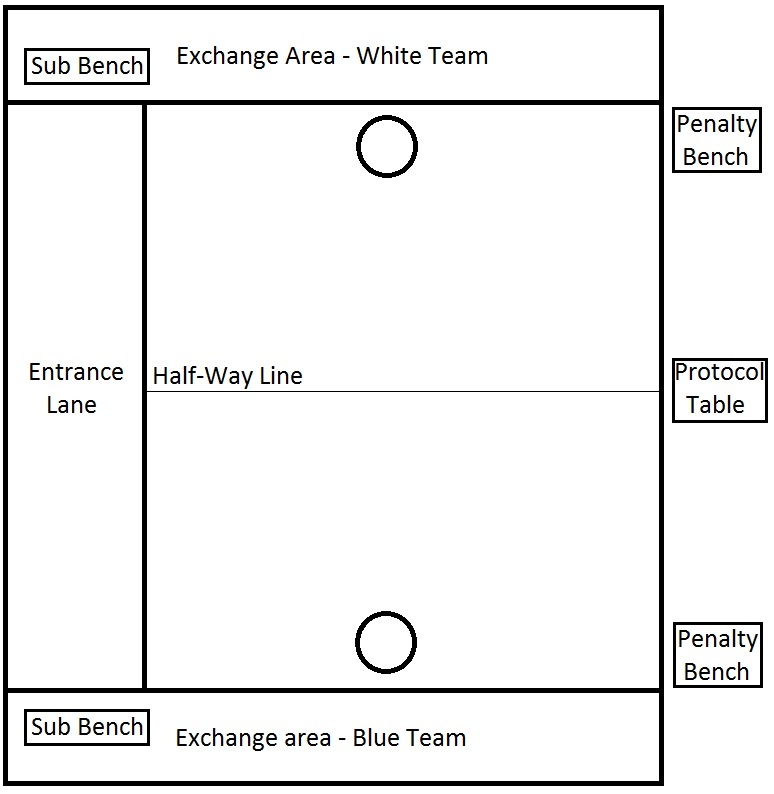 Underwater rugby is played in a pool were the lenght is between 12-18m, the width is between 8-12m and the depth is between 3.5 – 5m. The game consists of 15 minutes halves with a five minutes half time break. Each team has 12 players. During the game 6 players are in the pool with 6 exchange players on the side who can be substituted at any time. The players wear fins, a diving mask and snorkel. A plastic ball filled with salt water is used to score a goal. The goals are placed on the bottom of each side of the pool and are made of stainless steel. The teams start at each end of the pool with one hand on the wall. The ball is in the middle of the pool, on the bottom. When the referee sounds the buzzer both teams race to get possession of the ball. There are different team configurations but generally a team has 2 forwards (center/right), 2 backs and 2 goalkeeper/left wing. The idea is to keep possession of the ball and outwit your opponents by using skill, speed, maneuverability and breath holding. The rules of Underwater Rugby are fairly simple. Basically it is a contact sport, a player can attack another player if they have the ball or if the other player has the ball. Any infringement of the rules are judged by 2 referees in the water and one deck referee. Kicks, hits, strangling or playing above the surface can be punished by warnings, free-throw or 2 minutes penalties. If the referees judge that an almost sure goal is stopped a penalty through can be awarded. The game was started by a German dive club as a way to keep fitness levels up and today is still a great way to keep fit. As it is played underwater UWR has a lesser risk of injuries than normal contact sports and can therefore be played by anyone, regardless of age or gender. Promo video by the Underwater Rugby Club of the University of New South Wales.